President Trump delivered his annual State of the Union address from the House Chamber Tuesday night. The President called for unity, celebrated economic prosperity and touted record low unemployment due to his business-friendly policies and deregulation. President Trump took a shot at the radical left-wing Democrats openly embracing socialism. 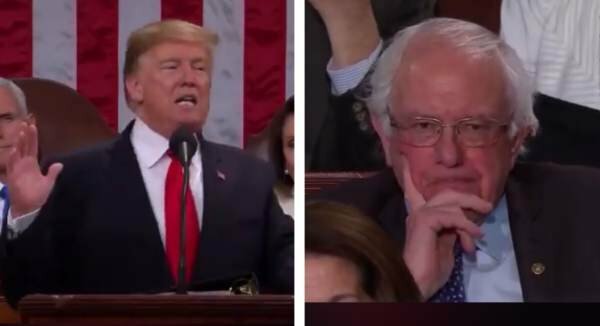 “We are alarmed by the new calls to adopt socialism in our country,” Trump said to audible boos in the House Chamber. The camera panned in on Socialist crackpot Senator Bernie Sanders who was scowling after the President rejected Socialism. "We are alarmed by the new calls to adopt socialism in our country," Pres. Trump says.